By 2020, Generation Z will account for 40 percent of all consumers. Yet as of today, only 47 percent of this generation uses a major bank. Generation Z gives banks a huge opportunity to expand their customer base -- but FinTech introduces tough competition. In order to stand out, banks must focus their energies on new approaches to driving value for this growing segment. Generation Z has high financial expectations -- 83 percent expect to purchase a home by their 30th birthday. However, this group also has financial challenges, particularly when it comes to their spending habits and financial literacy. The average Generation Z consumer carries $8000 in debt, and over 50 percent lack basic knowledge about financial planning. With a whopping 68 percent of this cohort expressing concern that they will actually be able to live the life of their dreams, banks have an opportunity to solve big problems for Generation Z -- if they invest in attracting this audience to their bank. 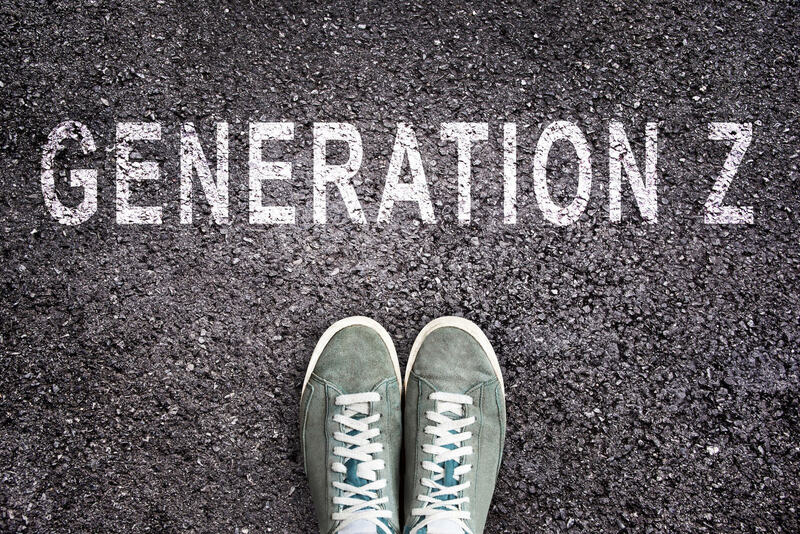 Generation Z is seeking financial information -- but banks have yet to answer the call. Today, only 25 percent of banking products are effectively advertised online, so while Generation Z is incredibly savvy in many ways, they’ve had to rely on parents and family for financial advice. Additionally, Generation Z has put their trust -- and money -- in FinTech. Venmo, Wealthfront, Funding Circle, and other technology-first brands have introduced high levels of efficiency, ease, and mobile accessibility to financial services, so it’s no surprise that 48 percent of Generation Z is already using a financial app. FinTech companies have been successful with Generation Z because they offer easy, streamlined, and efficient solutions to tactical financial challenges. Any bank looking to compete must make big investments in mobile banking and more self-service options to emulate the technology-driven ease offered by FinTech counterparts. While playing “catch up” is a start, -- in order to really compete with FinTech, banks must do more. Fortunately, there are gaps when it comes to FinTech and Generation Z. In a world where every interaction is streamlined and digital, the FinTech experience can also be impersonal. Because of this, banks have a huge opportunity to differentiate through building real relationships, leveraging real life advisors in real life locations. Like Millennials before them, Generation Z values experiences. These experiences are something that banks can easily provide -- in and out of the branch. While many FinTech providers attempt to mimic financial guidance through mobile applications, there is no way to truly replicate the confidence that is inspired by the support of a trusted advisor. Banks are uniquely poised to provide Gen Z with personal guidance, education, community, and products that can give Gen Z the lives they want. But in order to do this, it’s important to go where the customers are. With 89 percent of Generation Z thinking a college education is valuable, the college campus is a perfect place to focus. But more is required than simply setting up a tent and distributing fliers. Banks must create a technology-centric brand presence on college campuses, while attracting and engaging a whole generation of customers. One solution that has gotten some attention for driving new banking audiences is Pepper, the humanoid robot. Pepper is a conversational banking representative that can be programmed to deliver relevant marketing content, while proactively and interactively engaging students on a college campus. Pepper offers something special to attract attention, while educating Generation Z about core concepts like building wealth, investing, saving, and managing debt. As customers interact with Pepper, banks can gain valuable information about customer preferences, and make a memorable impression with Generation Z customers, meeting them with engaging experiences where they are. Pepper is already helping banks like HSBC, who has invested heavily in innovative banking solutions for bringing new customers and accounts into the branch. If you’re interested in learning more about Pepper, please contact us at sales_us@softbankrobotics.com.